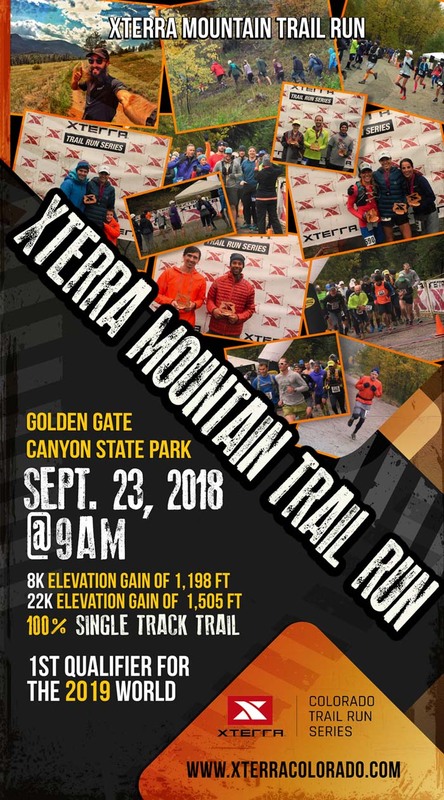 The XTERRA Golden Gate Canyon State Park trail run is scheduled for September 23, 2018. This course best exemplifies the spirit of the XTERRA Trail Run offering a 8k and 22K distances. This event is limited to 200 runners of all skill levels. The course is stunning and beautiful, with single track running through alpine meadows, pine forests, and golden aspens during peak fall colors, plus stunning views of the continental divide. Experienced distance runners can opt for the 22K course, beginners can take the 8K challenge. The 8K trail course will take runners through Aspen shaded trails, Willow, Adler, and Blue Spruce trees with an elevation gain of 1198 feet. The 22K course is the longest trail in the park that takes you through undulating hills, open meadow, aspen groves, and dense evergreen forests and offers an elevation gain of 1505 feet running to 8,855 feet above sea level. This XTERRA trail run is challenging with altitude beginning at 7655 feet. It will deliver the best surrounding scenic views of the wilderness areas and the Continental Divide. The XTERRA Trail Run Golden Gate Canyon State Park in Golden Colorado has an Elevation Gain/Change of 1198 feet 8K - 1505 feet 22K. A portion of your entry fee will be donated to local non-profit organization the Colorado Young Leaders (CYL) a youth leadership non-profit. You can learn more about this incredible 501(c)3 youth leadership group and donate to them at coloradoyoungleaders.org. 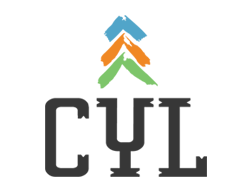 Colorado Young Leaders (CYL) is a non-profit organization empowering teens to become stronger leaders through community service. Youth go through a metaphorical mountain summit journey to understand more about themselves, the community around them, and their place in it. CYL strives to create the next generational leader; a young person with a clear passion and purpose, a heart for others, and the confidence to explore the difference they can make in their community. For more information on CYL, please check out coloradoyoungleaders.org! There are 40 automotive parking passes sold for $10 each. Our hope and expectations are paid parking participants will be carrying multiple racers/spectators. Paid parking will receive printed permits to park at the race start/finish area (Nott Creek Trail head). The remainder of the racers/spectators will be shuttled to and from the Gilpin County Fairgrounds Parking Lot (230 Norton Drive, Black Hawk, CO 80422) 4 miles west of the park visitor center on Hwy 46. Why wait? Get your ticket today! Race are limited to 200 runners. IMPORTANT NOTE: ONLINE REGISTRATION ENDS THURSDAY SEPTEMBER 20, 2018 at 8:00PM !